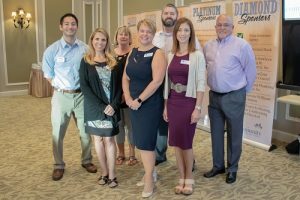 Pinnacle Community Association Management recently served as the event sponsor for the Community Associations Institute (CAI) West Florida Chapter’s monthly membership breakfast, held at the Lakewood Ranch Golf & Country Club. With more than 750 members, CAI’s West Florida Chapter is one of the largest and most active in the country. It provides education, tools and resources for managers, partners, homeowners and board members of condominium, cooperative and homeowner associations in Sarasota, Manatee and DeSoto counties. “Pinnacle is proud to be a member of CAI’s West Florida Chapter and to partner in its efforts to promote the highest standards in excellence and service quality for the community association management and HOA industry,” said company co-founder and owner Jason Hamilton.